Click the categories above to browse our selection of fiction, video games, and whatnot. 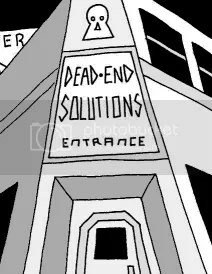 Dead-End Solutions is a flea market of amusement for the bored and the frugal. You can email Mike MacDee at yahoo dot com.